Life blows for sixteen-year-old Janelle. Ever since moving to Florida, she’s been accidentally breaking people’s arms just by touching them and yanking steel doors off their hinges. Then her new crush, Gary, sees her gray spiral birthmark and tells her she’s a Tempest, able to turn into a hurricane by touching the ocean. Like him. So that’s why she feels ready to explode when she’s at the beach. As if that’s not lousy enough, all Tempests have to become storms once in their lives. It’s their law…and it’s Janelle’s turn. No way in hell is Janelle going to kill people, even by accident. So she does what any sane person would do—she runs away from home. But it’s not long before the Tempest leader discovers and abducts her. Janelle’s told that she’s destined to become the worst hurricane ever. And now she’s the main weapon in the Tempest leader’s plot to hold the world ransom. No way can Janelle live with herself if she kills thousands. But using the power she fears most might be the only way out. Vampires? So five years ago. Werewolves? Way overdone. Hurricanes? Yes. 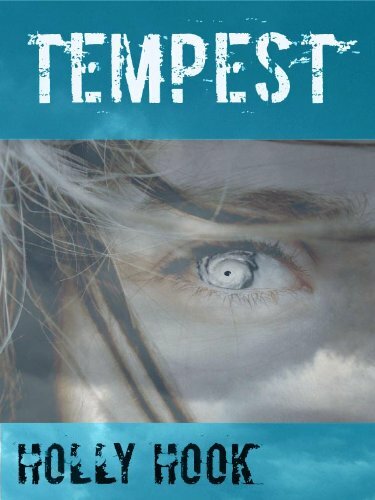 Tempest's are humans that turn into hurricanes when they touch sea water. How crazy is that? Hurricanes are dangerous, and often deadly, so you can see where that doesn't sit well with our main character Janelle. At first, she has no idea what's wrong with her. All she knows is that she's caught in the middle of Hurricane Gary, and that her dad is acting strangely, infuriatingly calm. Then, Janelle sees a boy her age appear from the middle of a tornado... and he has a swirl-shaped birthmark just like her. She has to get answers from him, but when she tries, she's only left with more questions. To add to it all, the name of the boy who appeared out of Hurricane Gary is... Gary. Soon, Janelle finds herself running away from everyone, including her own father, to try and avoid the inevitable: her transformation into the most powerful hurricane in history. Only problem is that she's being followed by a woman that wants to exploit her power to use it for mass destruction. I liked Janelle, she was tough and determined, even when she was faced with life-threatening danger, and she thought she couldn't trust anyone, not even her own dad. I was a bit annoyed with her, though, on the whole dad thing, because she never gave him a chance to explain anything. She just ran away from him with Gary, who at this point had filled her in on what Tempests were and wanted to help her avoid killing people if she transformed. I felt that she at least could've given her dad a chance, but then the story would have gone a completely different way. By the end of the book, Janelle had come to terms with what she was, after fighting it for so long. Janelle makes her journey with Gary, and throughout the novel, they grow steadily closer to each other. But, what I really loved is that they didn't immediately fall for each other. They didn't even kiss at all in the novel! They came really close once, but it didn't happen. I think they're a cute couple, and I can't wait to read how they're relationship progresses in the rest of the series. They need to kiss! There was never a moment of boredom. The action just kept coming and coming, although towards the end, I felt like the build up to Janelle changing was drawn out a bit too long, and I found myself thinking "All right, bring on the hurricane already." 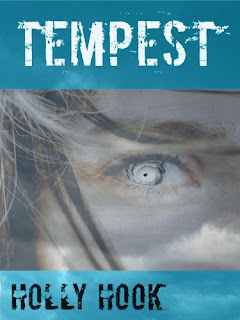 But I really enjoyed reading Tempest, and I just downloaded the sequel Inferno on my Nook, so I'll be sure to read that as soon as possible. I give this novel 4 out of 5 stars. Hmmm, what natural disaster would I turn into? Well, preferably none, haha, but I guess if I had to choose it might be kind of cool to turn into a tornado. I would probably transform into a tornado.... Spinning wildly in an open field?! Sounds like fun :)haha! Well, besides the destruction part :[ that's a downside! This looks flipping amazing!!!!! I'd totally be a hurricane! I'm Grace by the way. Grace S.